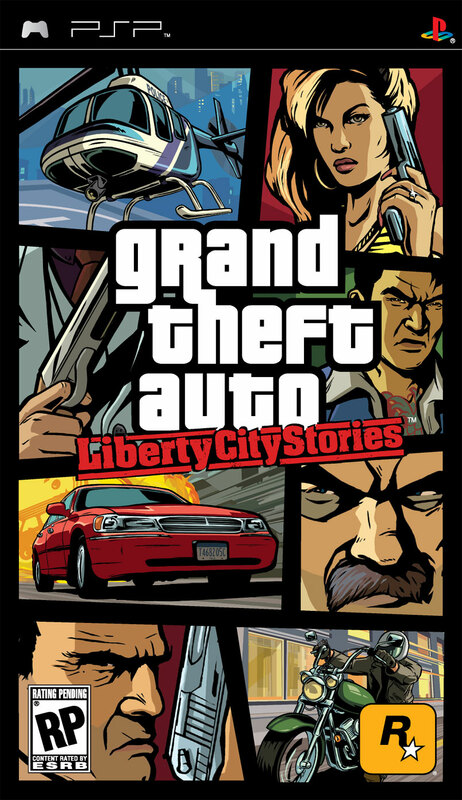 Grand Theft Auto: Liberty City Stories is an all new epic adventure in now classic Liberty City. One year after the release of the mega-hit "San Andreas", Rockstar Games presents us with "Grand Theft Auto: Liberty City Stories", the first ever GTA title to feature on the PlayStation Portable system. Set 3 years prior to Grand Theft Auto 3 (1998), we hit the streets of Liberty City with Toni Cipriani, a highly ranked member of Salvatore Leone's Portland mafia. 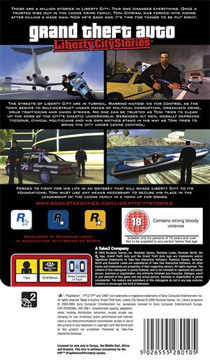 Publisher Take-Two Interactive announced that Rockstar Leeds would be developing a game for the PSP on January 10th 2005, and later announced the title of this release in a press statement on May 17th. Liberty City Stories is available exclusively for Sony's PlayStation Portable system following it's European launch on September 1st 2005. Liberty City Stories was first shown by invitation only behind closed doors at E3. It is currently unknown whether the game will be released for other platforms in the future. "Returning to Liberty City and bringing it to life on a handheld system has been both nostalgic and extremely inspiring for us," said Sam Houser, President of Rockstar Games. "The incredible PSP system technology allows for fans of the previous Grand Theft Auto titles to revisit Liberty City and see it from an amazing new perspective with an entirely original storyline. Grand Theft Auto: Liberty City Stories will be a bold new experience that has never before been possible on a portable platform." "We've been very ambitious with Grand Theft Auto: Liberty City Stories," said Leslie Benzies, President of Rockstar North. "By collaborating extensively with Rockstar Leeds, we've been able to create a massive, uncompromising experience on the PSP system that we believe both long-time Grand Theft Auto fans and newcomers will be excited to get their hands on." "We have worked very closely with Rockstar North to bring the same integrity and production value of the previous Grand Theft Auto titles to the PSP system," said Gordon Hall, President of Rockstar Leeds. "People's expectation for a Grand Theft Auto title will always be very high, and we're confident that we can deliver a revolutionary experience. Grand Theft Auto: Liberty City Stories will be the most intense and epic title created for the PSP system, undoubtedly setting the standard for this groundbreaking platform." Grand Theft Auto: Liberty City Stories is an entirely new game in the Grand Theft Auto series and brings an unprecedented mobile dimension to this epic experience. 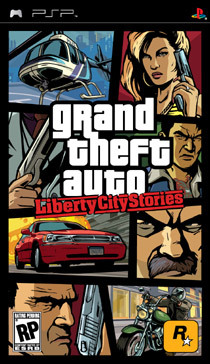 The original storyline and all new missions take place in Liberty City, featuring the interactive, open environment, superb voice talent and diverse music that have become pioneering trademarks of the series. GTAForums.com is the largest Grand Theft Auto community in the world, with more than 250,000 members and 5,000,000 posts. Register now and become part of the ever-growing community!